After nearly a 1-1/2 months the A800 features are explained in both pictures and words for everyone to behold. Delivery on initial pre-orders have been underway for the past week. Racers throughout the globe are starting to see the kit in action for themselves. This past weekend NORCAR R/C Racing at The Gate hosted their 21st edition of the Halloween Classic sponsored by AwesomatixUSA. This year proved to be the largest Halloween Classic ever with IIC not happening this year. The race event sold out in just 90 minutes! AwesomatixUSA has won 17.5 Touring for the past two years (Hoffmeister, Hanulec) and 13.5 Touring last year (Hanulec) so there was clearly a lot of pressure to keep the title in the family. Thankfully after three action packed days, Kyle Klingforth, who was robbed of the 17.5 Touring win in 2014 came back to survive the infamous failnados, and #eastcoastgrip to take two titles for the team. 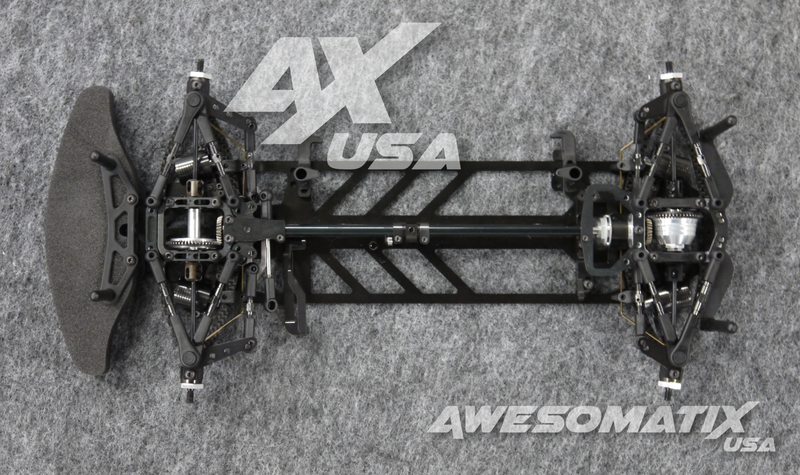 In the largest class, 17.5 Touring, Awesomatix USA would put six drivers in the main but wasn't able to secure TQ. 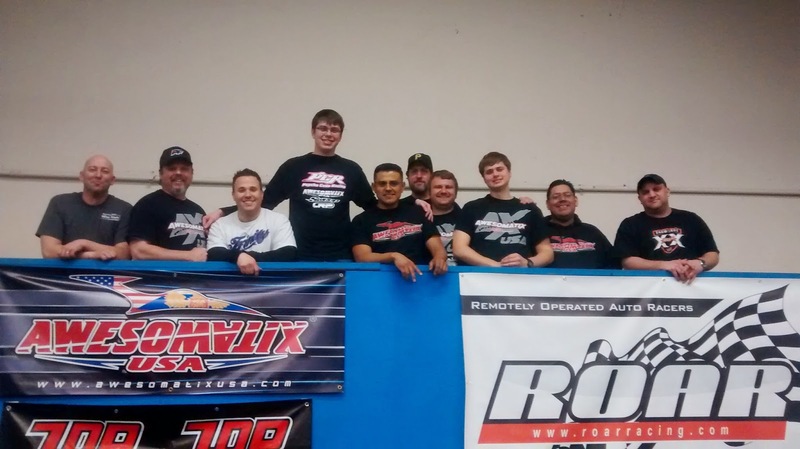 Team XRay's Sam Issacs take TQ in round 1 and re-set TQ in round 3. 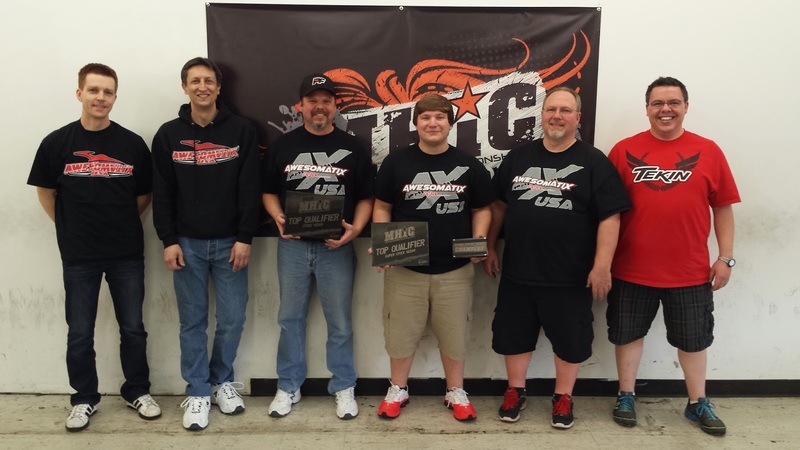 The super tight competition, combined with bad luck would cost Awesomatix drivers Kyle Klingforth, Brad Johnson and Larry Fairtrace all TQ runs. At the start of the main, a mini failnado would cost Brad, Larry and Bill Sydor any hope of a win. Out of the carnage, Sam lead Kyle for the first few laps with Team XRay's Eric Anderson in 3rd. Early on Kyle and Eric would swap places once, and then give them back the lap later. On the 25th lap Sam would tap out allowing the hard charging Kyle to take over the lead. 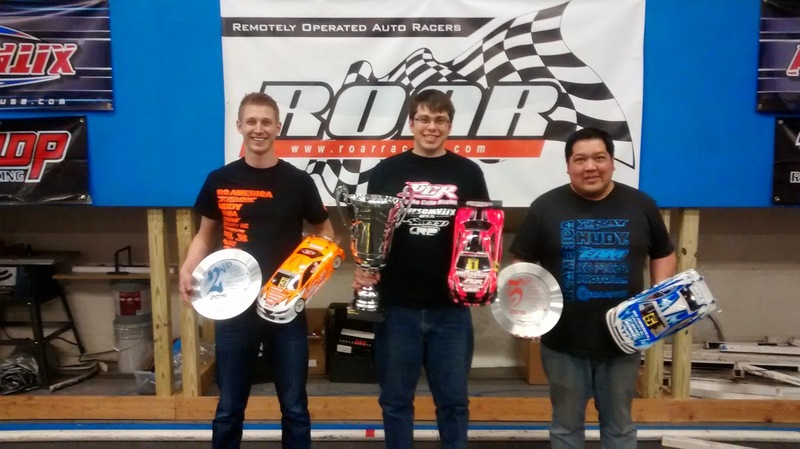 The rest of the podium would be decided with just four laps to go when Eric fell victim of "XRay on XRay crime" after a body tuck from team mate Dan Hamann allowed last year's winner, Michael Hanulec to promote himself into 3rd after starting 9th. In 13.5 Touring, Kyle Klingforth would take the TQ in the 4th round over Sam Issacs and Brad Johnson. The TOP 3 were separated by less than 0.8s so we knew the battle for the win would be exciting. All in all, Awesomatix's four team drivers who entered 13.5 TC would made the main. During the A-main traffic would rob Brad Johnson of a chance at the win while lapping the mixed speed field. The battle for the lead would continue with Sam applying extreme pressure on Kyle throughout the run. Their battle would be nearly ruined by lap traffic during the mid way point, but Sam graciously let Kyle back into the lead so they could continue their battle. After 6 long minutes Kyle won with Sam less than 2 seconds behind. Finally in Modified Touring, both Josh Cyrul and Kyle Klingforth would qualify for the A-main. Modified Touring proved to be the second most popular class over 13.5 TC this year. In the main, Kyle's luck would end on lap 1 but Josh would charge from 10th on the grid up to 4th until an altercation with lap traffic cause him to need to get marshaled and fall down the order. 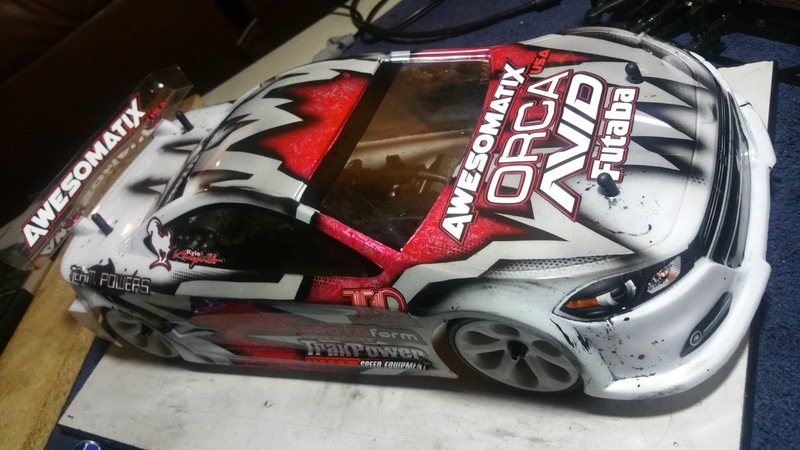 Hopefully next year we'll see a lot more Awesomatix in the modified class fielding our new A800 Touring Car. Win or lose - the team showed great pace, and tremendous support of their team mates and customers. This year was the first for AwesomatixUSA to sponsor the Halloween Classic -- but it certainly be the last! Awesomatix USA is proud to present the 2015 Halloween Classic... it sold out in less than 2 hours! 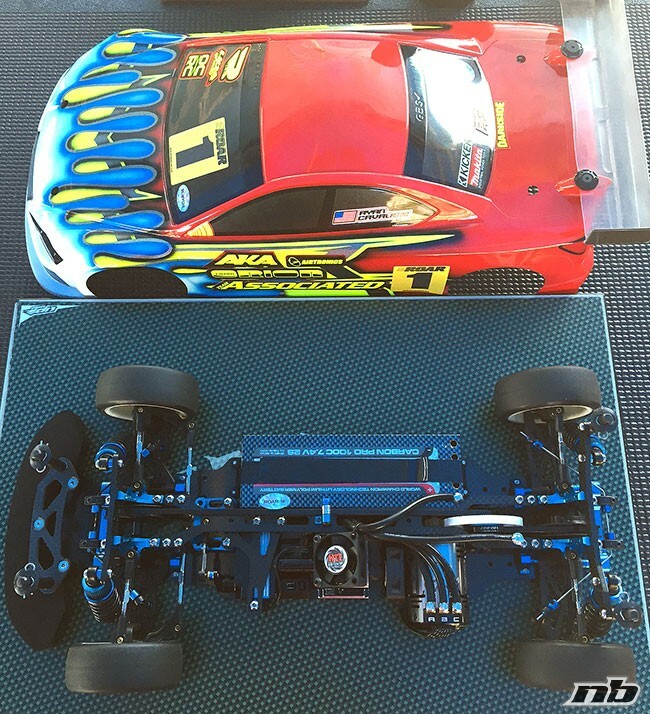 Two weeks ago Team Associated's off-road super star Ryan Cavalieri TQ + Won the 2015 ROAR OnRoad Asphalt Nationals in Modified Touring. 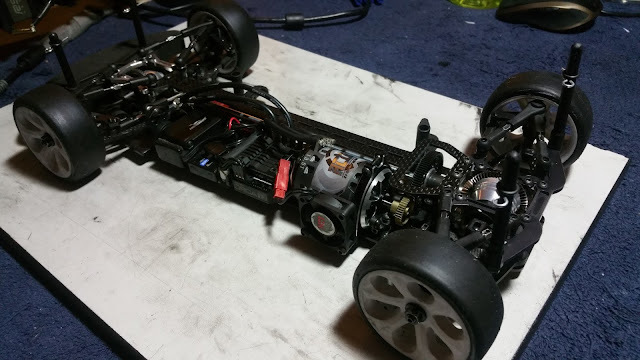 Cav used the WTF "Blow Them All" ESC/Motor Fan Mount and 30mm WTF fans for both ESC and Motor cooling. A large Wild Turbo Fan re-stock just arrived today. 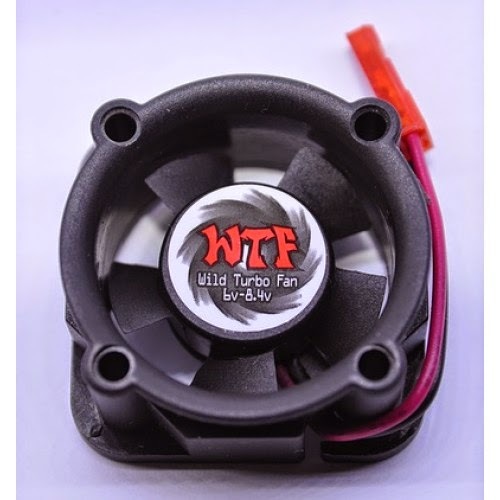 Our popular 30mm motor fan is now back in stock along with inventory refreshes of nearly every other product. 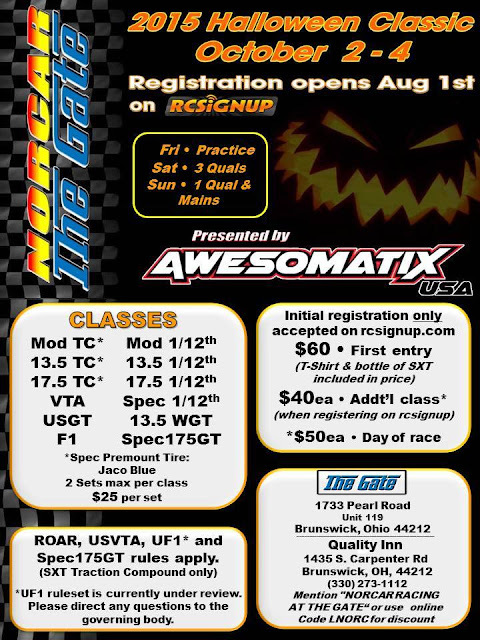 In 1.5 weeks the R/C carpet racing world is getting ready to converge on the Halloween Classic in lovely Brunswich, Ohio. This year's even is proudly sponsored by Awesomatix USA. Looking forward to meeting some new faces at the race, and seeing a lot of old friends. 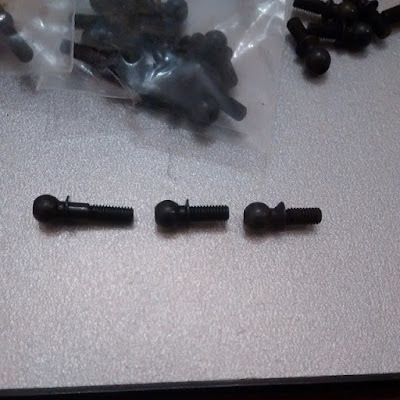 Just in time for the race a new parts order has arrived containing all of the favorite spare parts, and a few option parts like the RFG. Our second supply of Rear Floating Gearbox have just arrived along with a restock of rebuildable dampers, carbon arms, front spools and low pivot balls. Just in time for the indoor carpet racing season, we've restocked all of the Wild Turbo Fan products. We've brought in more styles of ESC fans and fan mounts time too in addition to the ever popular 30mm and Windy fans. 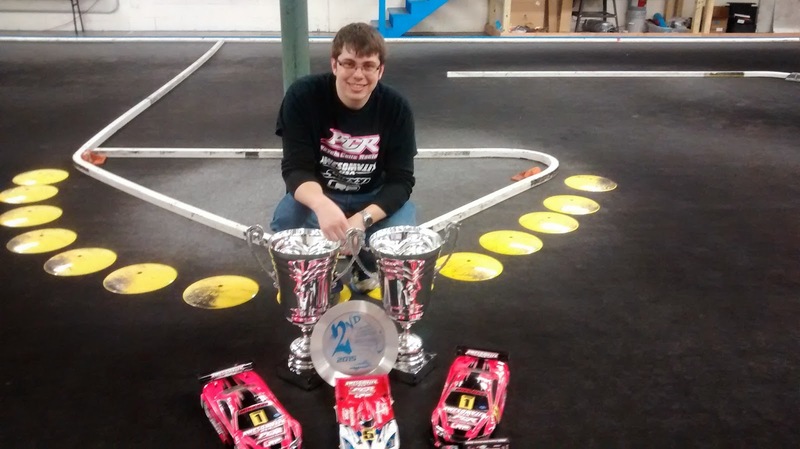 The 2015/2016 indoor carpet racing season will be jump started at The Gate in Cleveland, Ohio. Moving their race to avoid potential conflicts, the Halloween Classic, our favorite race of the year, will be on October 2nd to 4th 2015. Signups open August 1st for this race at RCSignup. We will update this post once we have more info. Don't miss out! Xenon Pinion and Spurs in stock! 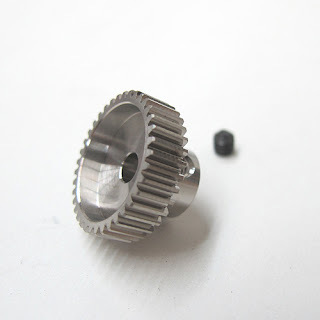 We've just received a big shipment of Xenon 64P Perfect Pitch pinion, 64P spur gears and 48P Panaracer PRS Spur Gears. These are the sizes our Awesomatix USA team use in 17.5, 13.5 and Mod Touring car racing. Perfect way to replenish or build up your collection. With the inclusion of the ST24, ST24M and ST24L within the A700 Evo II, A700 Evo IIC and A700L2 kits there has been some confusion at build time about the proper ball studs to use. Without a caliper, the picture below will explain everything you need to know by analyzing the ball stud shoulder. Note the angle and thickness of the ball on the stud. The North American carpet racing season is capped off by maybe people's favorite race, the Mile High Champs, run by everyone's friends at 5280 Raceway outside of Denver, CO. In 13.5 Touring, Kyle Klingforth was the class of the field, TQ'ing multiple rounds over Team XRay's Drew Ellis, last year's 13.5 winner. Jake Danilchik put it in the big show during last chance qualifying. In the main, Kyle would lead from tone to tone taking the win. 5280 local, Syndr0me, would finish in the runner up spot and Cory Parsons would finish off the top 3. 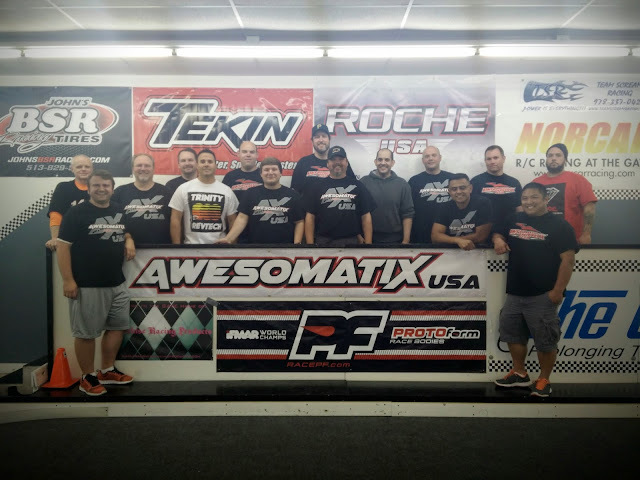 This year, Team Awesomatix USA was out in force running big boy classes, leaving one lone soldier, Bill Sydor to attempt to defend the team's 17.5 victory from last year. 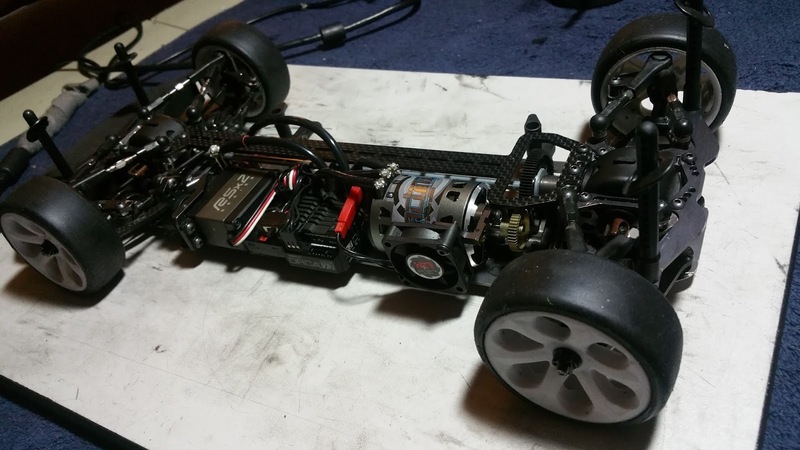 Bill would go on to repeat his TQ for the class performing his fastest run in round 2. In the main, Bill would lead from Art Scrimo until lap 10 when a series of taps started to drop bill down the running order. Bill would recover to finish 3rd, behind Cory Parsons who took the win and Sydr0me scoring his second 2nd place finish of the day. In Modified Touring, Kyle Klingforth would challenge XRay's Paul Lemeuix and Associated's Keven Hebert for overall TQ round over round. In the final round of qualifying, Blake Bell grabbed the last position in the A-main to join Kyle starting 3rd. The A-main win went to Paul, followed by Keven and Ralph Burch. 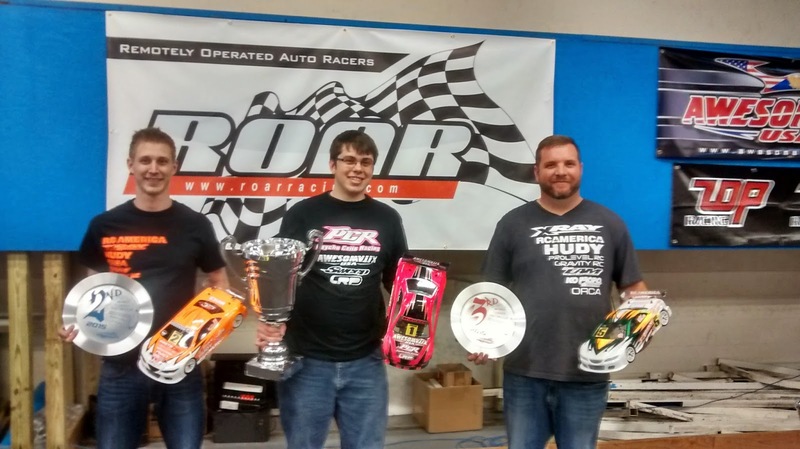 This past weekend Horsham RC in Horsham, PA hosted the 2015 ROAR On-Road Carpet Nationals. 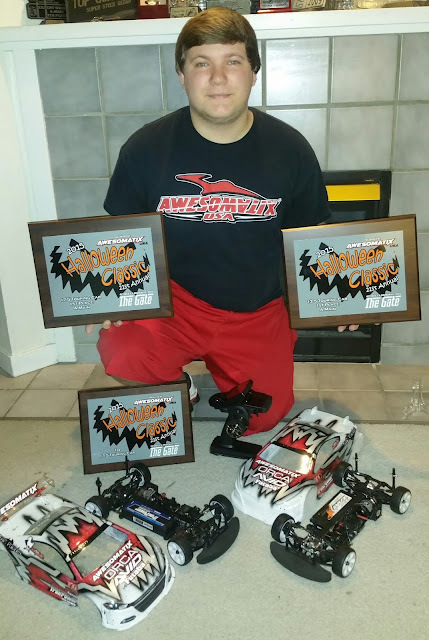 Team Awesomatix USA left the event with two more National Championships, this time both from Mike Gee -- 17.5 TC and 13.5 TC. After two days, and four rounds of qualifying, Mike Gee would find himself in the TQ position on his own lap (~3 second advantage). 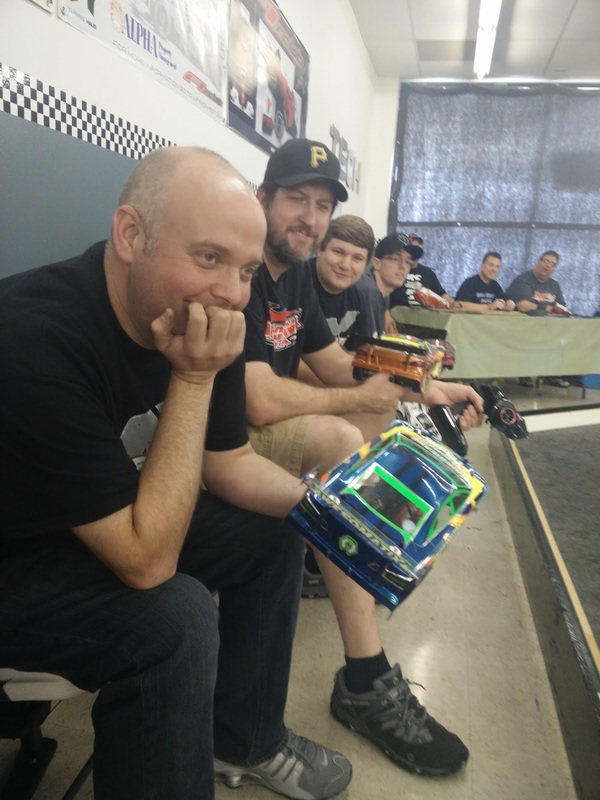 Prior TQ holders Robbie Dodge [XRay] and Larry Fairtrace [Awesomatix] would find themselves in 3rd and 4th position after the fast 4th round of qualifying. All in all, 5 Awesomatix touring cars would make the highly competitive race field. Mike Gee would lead from the tone while the rest of the pack would pile up on the first lap. Eric Anderson would hold the second place position until lap 13 when Robbie Dodge would get by after a mistake by Eric. Another mistake on the difficult layout would drop Eric to 4th and promote Craig Xavier to 3rd. Rounding out the top 5 was Bill Sydor working his way up from 9th on the grid. A2 would have an exciting start with 3rd place qualifier Robbie Dodge not starting and collecting a few people on the tone. Gee and Eric would break free from the chaos with Craig, Danny Jenkins and Michael Hanulec in tow. On lap 4, Eric would have a bobble dropping him to 5th place, and promoting Craig, Danny and Michael up a position. This trio would battle for 2nd place until the end of the race allowing Gee to cruise to the win. With Gee sitting out, Robbie Dodge would lead the first lap followed by Michael Hanulec, Karl Hoffmeister and Danny Jenkins. Bill Sydor would take over the 4th place position from Danny on lap 15, and the 3rd place position from Karl on lap 32. Robbie would continue to hold a 1 to 2 second lead over Hanulec to win A3. Mike Gee would again TQ, this time ahead of Robbie Dodge [XRay], Drew Ellis [XRay], and joined by Larry Fairtrace and Michael Hanulec running Awesomatix A700 Evo II. On the first two corners Robbie Dodge would apply serious pressure to Michael Gee causing Gee to make a mistake and let Robbie by. Gee would chase Robbie until lap 18 when his radio failed causing the car to go straight off at the end of the straightaway. Behind the Dodge/Gee race, Hanulec and Fairtrace would exchange 3rd and 4th, and then later 2nd and 3rd until the last 30 seconds of the race when Hanulec would roll on a dot allowing Ray Darroch [TOP] to grab the 3rd spot with Mike Haynes finishing 5th. Gee would have a better start this time, and cleanly lead lap 1 with the field running mostly in qualifying order. Gee would open up a few second lead within the first few laps and by then the race order started to change. Drew Ellis and Robbie Dodge swapped positions and Michael Hanulec took over 4th. Gee would take the win by 3 seconds over Robbie, and Michael would nearly take over third after a mistake from Drew in the closing laps. Mike Haynes [Associated] would take over 5th late in the race. After a called false first start, Gee would successfully re-start the race, and take the lead from the tone. Drew Ellis would pass Robbie Dodge on the 2nd lap with Michael Hanulec and Eric Anderson in tow. A late race bobble by Gee on lap 34 would almost decide the race, but Gee collected his car and maintained his lead in front of Robbie. Michael Hanulec and Drew Ellis would continue their battle from A2 with Drew holding onto the advantage to take 3rd. A hard charging Eric Anderson would have to settle for 5th after rolling on a few dots during the 6 minutes. 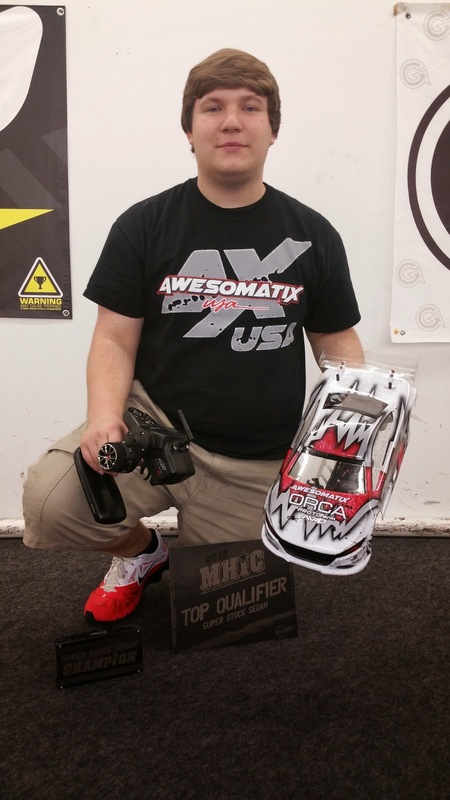 Two years ago at the 2013 ROAR On-Road Carpet Nationals (also hosted at Horsham RC), Awesomatix USA was launched to the public. At that race we had three competitors running an Awesomatix chassis -- Mike Gee, Karl Hoffmeister and Mark Dawson. Fast forward 2 years later, and with 10+ racers this year, it is great to see the growth of the racer base but more importantly we have racers helping other racers to improve, and excel. Big thanks again boys! 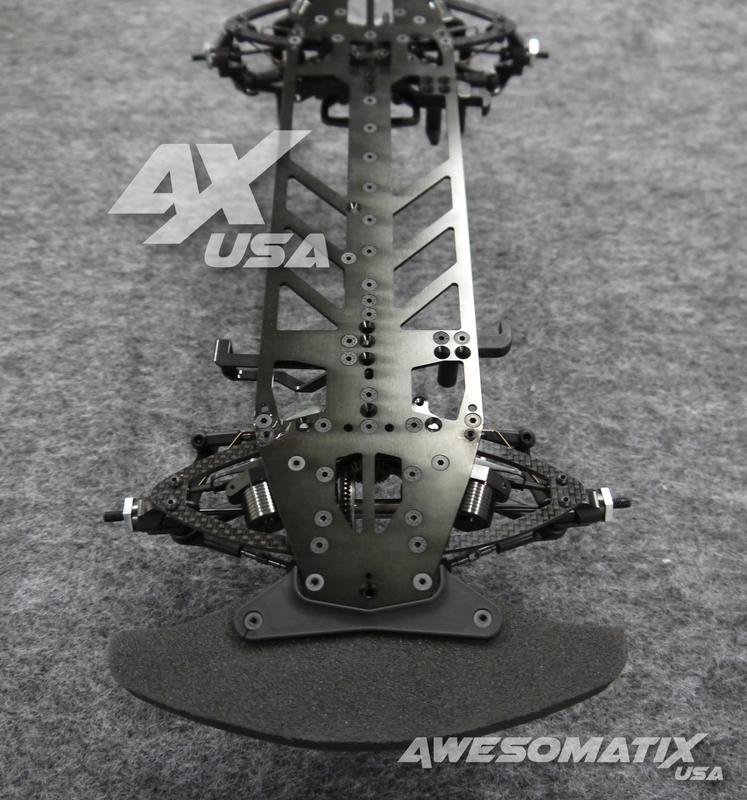 The new Awesomatix carbon chassis, A700-C01L2, and the A700L2 Car Kit are now available from Oleg and are on order by Awesomatix USA. The products should be available the week of February 23rd. The new web store is live at shop.awesomatixusa.com. The store is open for all new orders now! Dealers and Team Drivers must create new accounts and contact us to have their account status updated. The major product lines have been added, and triple checked for stock and price accuracy. Our old store will be available until January 31st, 2015 to _ONLY_ review past order history. As of February 1st, 2015 the old store will be no longer available. As always, if you have any questions, or don't see something you're looking for ... please ask! 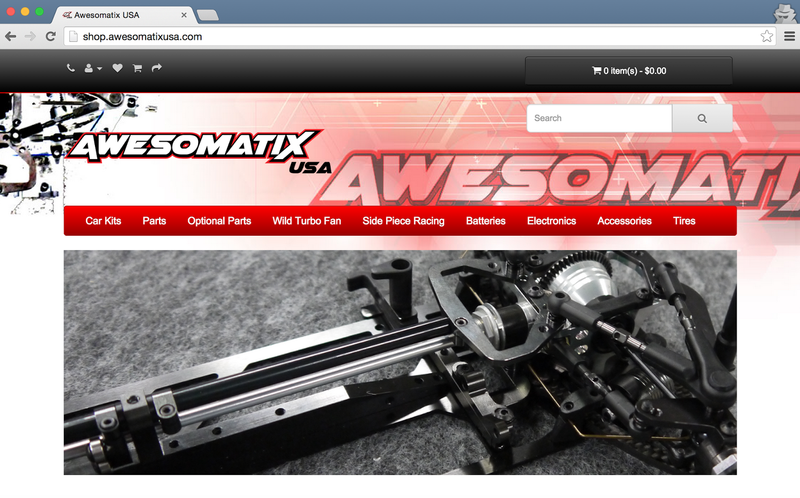 On January 15th 2015 AwesomatixUSA will be launching a brand new web store. The prior store will only be available until January 31st. After January 31st, all prior order data will be unavailable outside of your own personal records and the records maintained by PayPal. If you would like any of your old order data, please start archiving this information now. On January 15th we will announce the web address of our prior / legacy store. With the launch of the new web store, retail customers will be required to re-register when making their new purchases within the system. As always, we will be available to help if you run into any issues along the way.